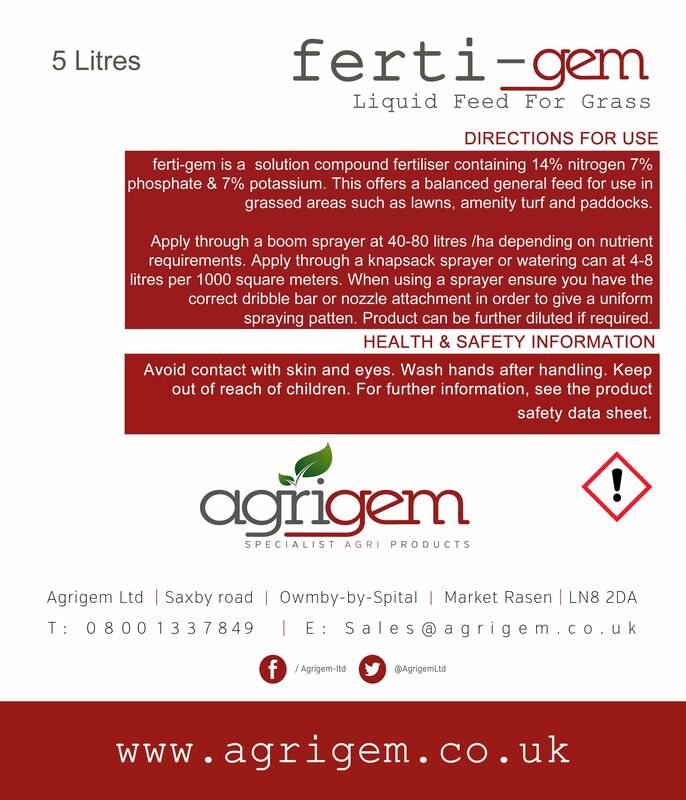 Ferti gem® is a balance formulation containing 14% Nitrogen, 7% Phosphate & 7% Potassium. It offers all the vital nutrients which grass needs in order to become a healthy & lush plant. Ferti gem® is suitable to use on paddocks and pasture, lawns, sports fields & amenity turf areas. It is also advisable that you dilute this product with water for better coverage and to avoid the risk of scorching the grass. Add in the same amount of water as product used; i.e 1 litre of ferti-gem mixed with 1 litre of water. Results are best if you apply with a watering can or dribble bar attachment, If you wish to spray it on you may wish to dilute further to avoid blocking of nozzles.